Highly flexible Black PVC Sheath over lapped screen: Copper 2 x 51/.01mm. Inners: 2 x 18/0.1mm. Outer diameter 2 x 4mm. Price per 100M reel. 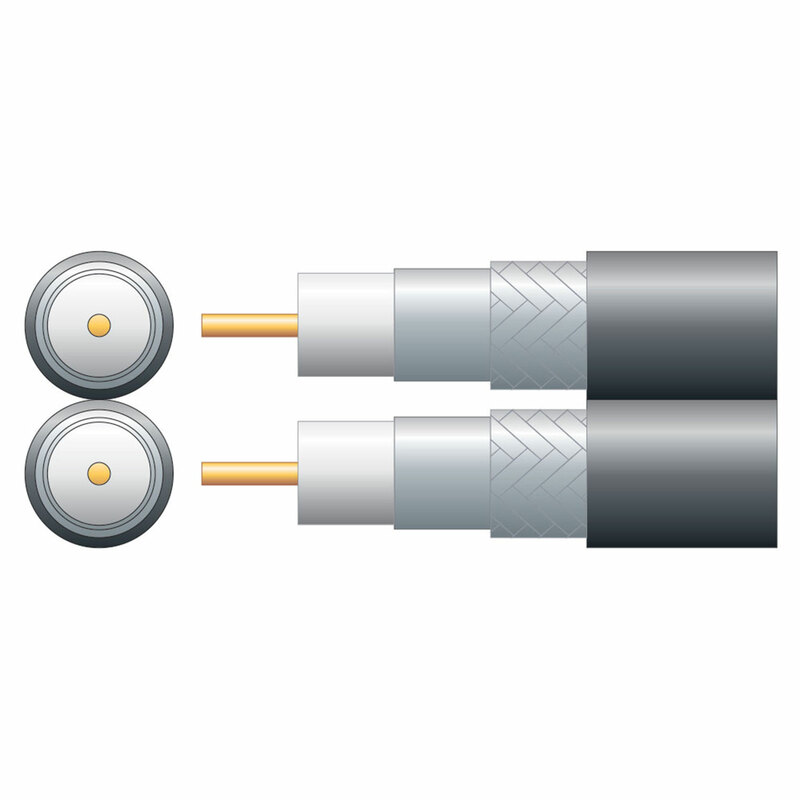 75 Ohms twin RG6 coaxial cable constructed of solid copper clad steel conductor, foam filled polyethylene dielectric, aluminium foil screen, aluminium braid and PVC sheath. The overall screen and braid significantly reduce noise penetration to the conductor making it suitable for satellite dish installation with dual or quad LNB.